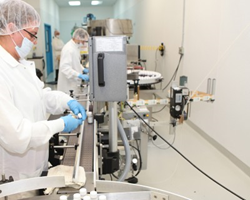 PharmaTech LLC is proud to announce the completion of a successful inspection by the U.S. Food and Drug Administration (FDA) at its pharmaceutical contract development and manufacturing facility in Davie, Florida. We welcome the positive relationship we share with the FDA in achieving its goals of developing safe and efficacious products for the market. The comprehensive inspection began on Monday, February 22, and concluded on Wednesday, March 2, 2016. The site was found to be compliant with the principles and guidelines of Current Good Manufacturing Practices (cGMP), and no Form 483 observations were issued. PharmaTech LLC is an emerging, fully integrated pharmaceutical company with a focus on the development of ANDAs and quickly establishing itself as an industry leading Contract Development and Manufacturing Organization (CDMO) delivering affordable, world-class quality products to their customers. PharmaTech specializes in providing turnkey services for contract development and manufacturing of pharmaceuticals and nutraceuticals. PharmaTech’s services include research and formulation development services for solid, liquid and topical dosage form Rx, OTC and supplement products; private labeling solutions; standard packaging and custom packaging configurations; distribution; submission filing and commercialization of ANDAs, NDAs and ANADAs; logistics coordination and worldwide delivery services. For more information, please visit http://www.PharmaTech-LLC.com.